Born on January 25th, 1882, in Kensington, London, Virginia Woolf was a prominent British modernist author, essayist, publisher and critic whose controversial personal life often competed with the complex interior monologue of her characters. Born Adeline Virginia Stephen to Sir Leslie Stephen, a well-respected author, and to Julia Duckworth, a model for Edward Burne-Jones, the famous British author was educated at home by her parents. The Stephen household also contained the children of the previous marriages, including one mentally disabled daughter (Laura Makepeace Stephen), in addition to Virginia’s three siblings (eight children in total). Virginia and her sister grew up with English literature and the classics, thanks to the huge library in the family household and throughout her childhood. She encountered important Victorian literary and intellectual personalities such as Tennyson, Henry James, and George Eliot. On a personal level, she experienced several nervous breakdowns when her mother passed away in 1895 (at the age of 49), followed by the death of her half-sister, Stella, at only 28 years old. The family’s storyteller, Virginia always felt the lack of a formal education as the one received by her brothers. Between 1897 and 1901, Woolf studied history, Latin, Greek and German at King’s College in London. When her father died in 1904, she moved out of her home to Bloomsbury, London, following another nervous breakdown which was partly triggered by the sexual abuse from her half-brothers, George and Gerald Ducksworth. Although it is hard to say if this contributed to her mental instability, but it must have been at least partly responsible for her inability to sustain a sexual relationship when she married Leonard Woolf in August 1912. The couple left central London to move into a house in Richmond. Leonard had brought the much-needed stability back to her life and she settled into married life without further episodes of nervous breakdowns. Her first novel was The Voyage Out, published in 1915 to critical acclaim. Throughout her life, her nervous crises and periods of mental illness coincided with the period between the completion and the publication of her novels. She suffered delusions, she would not eat and she was even institutionalized to a nursing home. When she returned to London, she tried to commit suicide. The turning point in her literary career came in 1926 with the success of To the Lighthouse, after which money was never a worry for the happy couple. The publication of A Room of One s Own in 1928 placed Virginia Woolf at the forefront of the feminist movement with its witty and polished comparisons of men and women. She became more famous and successful and more people wanted to meet her personally, such as the composer Ethel Smith. Her last literary work, Between the Acts (1941), which was published shortly after her suicide, is packed with hidden meanings and allusions about life. Although she was mostly known for her novels using the stream-of-consciousness technique, such as Jacob’s Room(1922), Mrs. Dalloway (published in 1925), and Orlando (1928), she was also a pioneer in essays on artistic theory, women’s writing, and literary history. Her experiments with biographical writing culminated with A Sketch of the Past, an autobiographical essay written in 1939 and part of the posthumous collection Moments of Being. 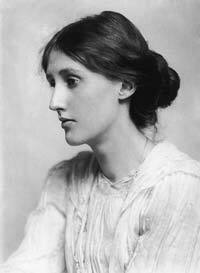 Virginia Woolf passed away at the age of 59, on March 28th, 1941, in the River Ouse, near Lewes, England. She wrote a letter for Leonard, explaining that she was hearing voices and was certain that she was going mad and would not recover. She filled the pockets of her overcoat with stones and drowned herself. Leonard Woolf buried her cremated remains under an elm in the garden of Monk’s House, their home in Rodmell, Sussex. The couple had no children.